P.E.T.S. is starting off the New Year with a bang but let’s not get ahead of ourselves. 2016 is not quite over. Here is our year in review. Although PETS had a great year professionally, we took some major punches personally. We buried many loved ones, 2 legged and four, while also juggling surgeries, broken bones, and illnesses. Without the support of our PETS family, it would have been so much worse. 2016 taught us to treasure the time we have and the friendships we have made. We dedicate this blog to the many loved ones we lost this year. P.E.T.S. is closing 2016 with 42,052 surgeries under our belts. That’s over 630,000 births prevented and we can’t wait to see what the local stats are for euthanasia and intake. 2016 was a fun year full of victories for P.E.T.S. and those we serve. We made some new friends this year when a van from Louisiana was involved in an accident carrying 36 dogs. We are happy to report 33 dogs survived with minor or no injuries at all and the two human transporters were miraculously unharmed as well. We are happy to say we’ve stayed in touch with our Cajun Crew and they were back on the road saving more lives in no time. For the full story, check out our Van Rollover Blog. Speaking of vans, P.E.T.S. was awarded funding for a new van from the Bridwell Foundation and Bryant Edwards Foundation in 2016. The De-Shaggin’ Wagon made it’s maiden voyage in July. Our driver and transport pets are thrilled to have rear climate control, better visibility and more room. The P.E.T.S. team had a fun year. Sterilization Nation made it to the playoffs as first-year kickballers. It turns out our crew has an impressive competitive streak. The staff enjoyed a weekend get-away at Eagle Mountain Lake where we made great memories and laughed til our bellies hurt. P.E.T.S. hosted our 2nd PetFest this year serving 250 pets with free collars, vaccines, and other services. 196 rabies vaccinations were given and 150 spay and neuter vouchers were issued. We also hosted a Feral Cat day spaying and neutering 123 feral/free-roaming cats in one afternoon. We made the most of Texoma Gives, had a successful garage sale and finished the year with Santa and Pancakes. We have so many wonderful programs at P.E.T.S. If you are not familiar with all that we do, please visit our programs page and learn more. Here’s 2 we think deserve extra recognition this year. In 2015 we added feral cat shelters to our To-Do List and did the same this year. A single shelter can change the life if not save the life of cats and dogs in our community for years to come. With some supplies, elbow grease, and straw, we create shelter, warmth, and comfort. We gave away more than 40 shelters to pet owners at the clinic and we delivered via our Out-Reach team in under-served areas. PETS gives a whole new meaning to shelter from the storm. It is with a heavy heart we say good bye to Dr. Joanna Boone who has graciously driven over an hour to spay and neuter pets for us every week for 6 years. Dr. Boone will continue spaying and neutering but at a clinic a bit closer to home and she is willing to come back and help out if we find ourselves in a bind. Dr. Boone also plans to explore some new opportunities and will enjoy spending extra time with her precious boys and supportive husband. Thank you Dr. Boone for your dedication and commitment to our cause. We know we will stay in touch and look forward to your future adventures. Equally sad, we must share our devoted clinic volunteer Dana Goff will not be returning in 2017. She will continue to serve on our board and stay active in PETS so we find great comfort in that blessing. Dana has been with PETS since 2007 just a few months after we opened. I love Dana’s story! We met when she stopped by to visit with our former board president. As she walked through the clinic area, she noticed a dog had vomited. Without missing a beat, Dana stopped, cleaned the crate and kept walking. I knew I had to have her immediately. Dana has been a wonderfully dedicated hard-working volunteer for almost 10 years. We will miss seeing you every week Dana but know you are never far. Finally, the amazing Anne Howe has resigned from PETS board but before you have a heart attack, finish reading this paragraph. Anne will continue to volunteer 3 days a week so you will all still get to see her and hear her adorable British accent. Anne has served 2 different terms on our board and it was simply time to make a change. We would never let her actually “leave” us, lol! PETS is so proud to welcome Dr. Jessica Yoder to our team. Dr. Jessica Yoder realized her dream of becoming a veterinarian by graduating from Mississippi State University in 2009. She has special interests in dentistry and behavior for cats and dogs. Her main goal as a veterinarian is to nurture the human-animal bond and help people care for the pets they love. Dr. Yoder recently moved to Wichita Falls. 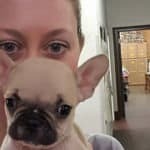 She worked at Spay Kansas City as a spay and neuter vet and comes to us with a passion for spays/neuters and shelter medicine. She even studied under the highly esteemed Dr. Phillip Bushby while attending Mississippi State. Dr. Yoder is married to a military man and has a beautiful daughter that makes her laugh daily. Currently, they have 3 dogs and 3 cats and fish. She also has a small herd of registered Texas Longhorn cattle that a friend is taking care of while she is traveling with the military. We look forward to working with Dr. Yoder and are confident our clients and their pets will be impressed. We are very excited to introduce you to PETS new board. You will recognize Dave Shipman, Dana Goff, and Joann Johnson as regular clinic volunteers and current board members but who are these new guys? Gonzalo Robles has been assisting PETS since 2015. He has served as a guide, mentor, ambassador and even in our TV commercials and poster campaigns. It was only natural that Gonzalo join the team officially with a seat on our board. Gonzalo Robles has been working with Hispanic families for over 20 years as a motivational speaker and trainer in a variety of educational settings. His mission is to promote a culture of high expectations and the importance of a college education. From 2008 to 2010, Robles led the University of Texas Systems’ original Café con Leche (Coffee with Milk) initiative, an informal forum for Latino parents to learn more about the financial aid and college application process. Café con Leche has evolved into a research-based, multifaceted program with the following components: Community Cafés, Neighborhood or Family Cafés, Road to Colleg e/Camino a la Universidad, financial aid events, and teacher training. Café con Leche partners with universities, colleges, school districts, and community organizations, and hosts the radio program Asuntos Hispanos on 107.9 FM MANA. Robles has worked with over 80 communities and partners throughout Texas and Florida, and holds a Master’s Degree in International Relations from Texas State University-San Marcos and a Bachelor’s Degree in Latin American Studies from the University. As you can see, Gonzalo brings a lot to our PETS table and will be instrumental in the success of our new Hispanic-focused Outreach programs. Our former vet tech and devoted volunteer Michelle Niebur introduced us to Jonathon Quam as a potential board prospect and we all enthusiastically agreed he was a perfect fit. Jonathon Quam is an assistant professor of media arts in the Mass Communication department at Midwestern State University. He received his Master of Fine Arts in documentary production and theory from the University of North Texas. Over the past six years, Jonathon has taught television, audio, film, and media studies courses at UNT and at Stephen F. Austin State University. Much of his professional work has been focused on the human side of society’s most difficult social issues, from the caring environments of LGBTQ churches in the heart of Texas to biographical looks into child abuse. Professor Quam is thrilled to bring his media knowledge to an important organization like PETS and we are equally thrilled to have him. We hope that Professor Quam will help us do what we do even better and assist us in developing a stronger relationship with students and faculty at MSU. For the past 2 years, PETS has averaged 120 walkins every Tuesday and Wednesday for non-surgical services. That’s 240 pets in just 4 hours and 2 days. We are very good at what we do but even at our best, the wait times can still be more than we want for you. As an answer to this growing problem, PETS will now accept walkins for non-surgical services Monday-Thursday 10-2pm. We will continue our 3rd Sat clinic from 12-4 each month as well. 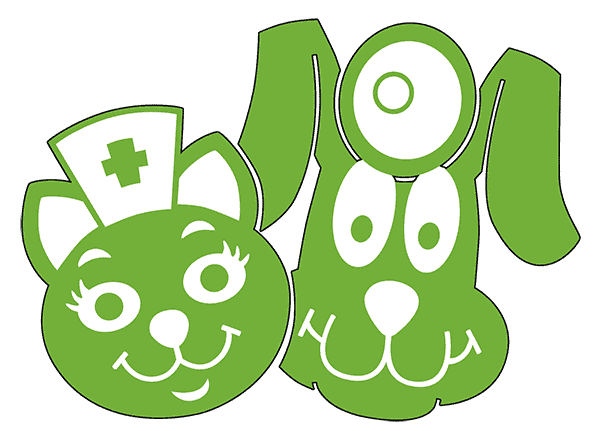 Our hope is to spread out the number of pets served each day so that your experience can be more personal, positive, and faster. We hope you spread the word and come see us any Mon-Thurs 10-2 for non-surgical services like vaccines, heart worm testing, flea/tick prevention, and FREE nail trimming. We must end 2016 by crediting the people and businesses that made this year possible. Every year we seek Clinic Sponsors to help with unexpected expenses, our life-changing programs, and surgeries in between grant cycles. This year we provided over $50,000 in free surgeries and services because of our clinic sponsors. We love what we do but we couldn’t do it without you all. We hope we made you proud this year and can count on your continued support. If you name is not on this list and you would like it to be, please let us know. Our Clinic Sponsors are proudly displayed on our lobby wall all year long and we don’t have to tell you how busy our lobby is. Thank you, everyone, for making 2016 a great year for P.E.T.S. Whether you donated, volunteered, worked, or trusted us with your business- you are why P.E.T.S. is what it is. Happy New Year!